You must make reservations at least 5 minutes in advance of the time at Bar Cantinetta. 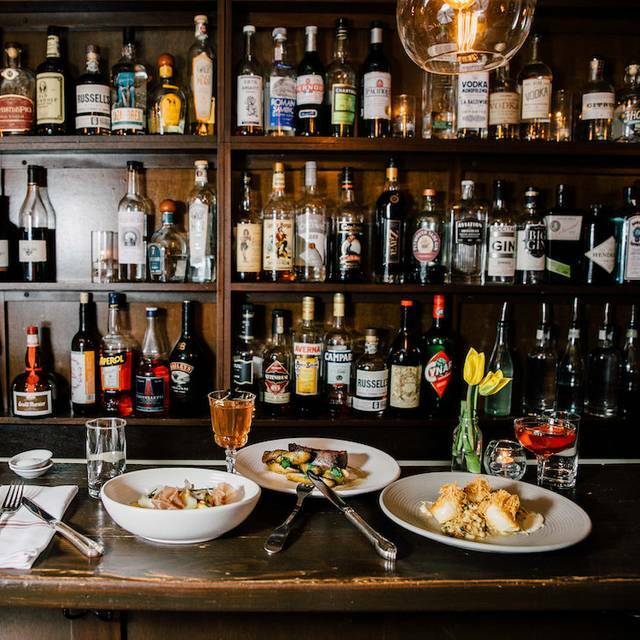 We are an Italian restaurant and bar located in Seattle. 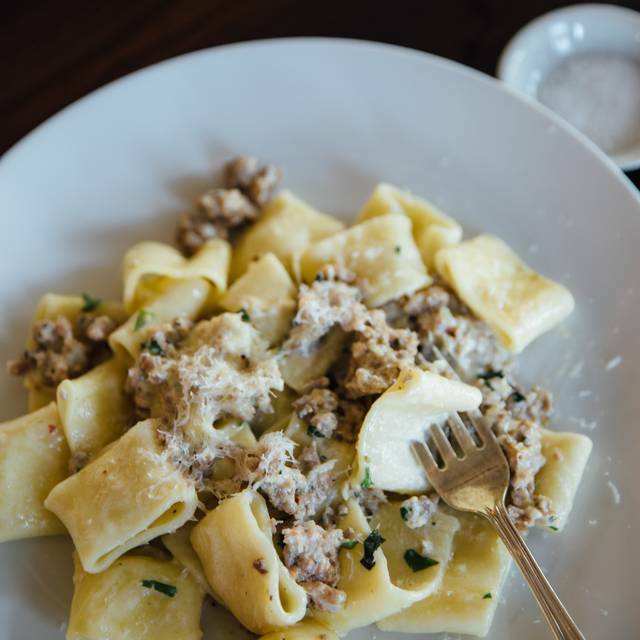 We emphasize in traditional Tuscan culinary tradition and local ingredients from the Pacific Northwest. From 5-6pm Tuesday-Sunday enjoy our special Happy Hour menu, including $11 pizzas, $20 bottles of wine, and more! 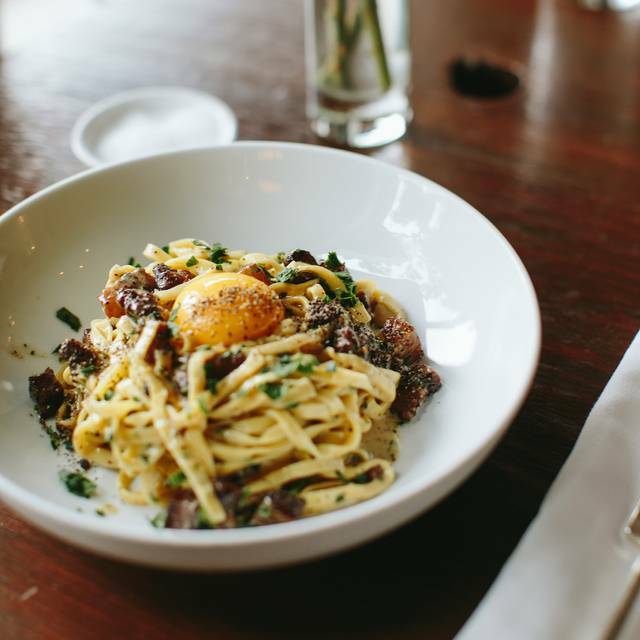 Bar Cantinetta is a small, quiet Italian restaurant in Capitol Hill with homemade pasta, pizzas, and a lot of romantic feels. Extremely charming neighborhood Italian gem. Keep in mind the space is very tight and seating is limited so reservations are a must. Love Bar Cantinetta! Chef Jaeger is amazing! Delicious food, great service and charming romantic ambiance. Picked this place out while staying in Seattle for a long weekend. What a great find! Staff were kind and attentive, and the wine was excellent! even though they had to close early due to a mechanical issue we didn’t feel like they rushed us out - they wanted us to enjoy our meal to the fullest. We will be back for sure! Always great service and perfect specialty cocktails! The food is excellent! I have never had a bad dish here. The Mista salad is a must have time. The crab risotto was perfectly flavored and fresh tasting. I had the steak, which my wife tried and said she loved, even though she doesn’t like steak. It was tender and perfectly salted. The atmosphere is warm and the service is knowledgeable and accommodating. We love this place. Food is good, but not enough selection for those who like more veggies, fish and lighter choices. Service was friendly and accommodating, although very slow, perhaps due to under-staffing. We have been here a few times. This was our first bad experience. Food was good as usual, the bartender was great, as was the host, but our waitress was a confused basket case. It wasn’t overly busy, and our order was simple and straightforward. The bartender did his best to make a bad situation acceptable for my wife’s birthday, and that was appreciated. I’m hoping this was just a bad night and it was our turn to be the unlucky table. We love the food and we will be back. Outstanding food and service. Highly recommend it. Beautiful tiny place with amazing food, ambience and drinks!! Definitely check it out. Great food and friendly service in a cozy neighborhood restaurant. The clams, stuffed dates and Caesar were crave-worthy. Good cocktails and wine by the glass. We tried sitting at the counter last night, watching the staff do magic. and how we wished it prepared. We had never talked to him before. I love this restaurant. The food, staff and drinks are always great. They were very accommodating with this reservation because my large party had to decrease in size. We love going here. The food is always amazing and the service is always great. Very nice food as well as great setting. The only complaint was the poor ventilation in the restaurant. My clothes had to be aired out for 2 days in order to get the "food" smell out of them. Love Bar Cantinetta:)! Delicious salads, pizzas and wine. Great service as always! Carrie is attentive and Kate treats us like family. Delicious food, cozy atmosphere & impressive service on a busy Friday night. Been a long time patron of the Wallingford location & this was my first visit to Bar Cantinetta. Charming & intimate- loved the vibe. Amazing gnocchi & bolognese, delicious butternut squash soup & amazing French bread. I’ll be back for sure! Always a good meal and the ambience is great for a date. Bar Cantinetta did not have a table for us. They said that Open Table reserves tables despite the fact that they are full. Very frustrating. Great experience. Recommend sitting at the counter. Chefs are friendly. Hugo, the bartender, makes a great drink. We were looking forward to this spot, but the food quality was very mixed. Delicious beet salad and carrot salad, but flavorless gnocchi, room-temperature pasta with bland sauce, tough flank steak, and unimpressive tiramisu. We won’t return. Great Service! Lovely spot for Italian with charming low light ambiance. We had our anniversary dinner at Bar Cantinetta. It was perfect. Food is delicious and not expensive. Their dessert menu is a must. Appetizers we had were great. Steak and potatoes would have been excellent but were very cold when served. Pasta dishes we ordered were just OK.
Food was divine and staff was excellent. Love this little gem in Madison Valley. Great, friendly staff and service, great drinks and delicious food make this a place I've come back to time and time again. We have always gotten better service than we deserve. you can not fail to want to come back. Wonderful service and outstanding Italian cuisine. No wonder it’s hard to get a reservation here! Grazie mille! Charming little restaurant. We don’t come here enough! Love the always great food and great service here. We felt like regulars on our second visit. The appetizers were DELICIOUS! Artichokes & burrata - so yummy! The pastas we had came out cold and undercooked, so I think the potential is there, but the presentation was sub par. Wine options were nice and the ambiance was quaint and cozy. Wouldn't go back for dinner, however I would go back for apps and wine. First time for us at this restaurant, but we’ll return again soon! I’d never heard of this restaurant prior to Seattle restaurant week, and took the opportunity to try a new place. So glad we did! Fried artichoke appetizer was really fantastic. Tagliatelle ragu was very nice, with pasta cooked perfectly al dente and the sauce, while not plentiful, was delicious. Great ambiance, and a very welcoming staff. A great experience! We went during Restaurant Week. Our salad and artichoke appetizers were terrific. The second course of paperadelle Bolognese was good, but we thought would have been better a little saucier and a little more flavor. We are looking forward to going back and trying their pizza. We loved the atmosphere and service was great. Incredible food! 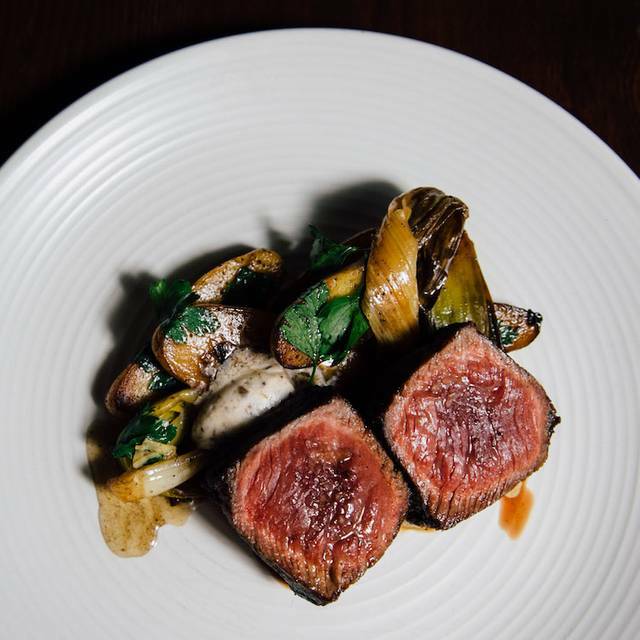 Went for a date during restaurant week, and everything was done to perfection. Very romantic ambience in a small quaint restaurant. Would definitely recommend. We enjoyed our dinner at Bar Cantinetta. Food was delicious and seasonal. Service was outstanding. A great small restaurant with great food and a lively vibe.